ANOUNCING THE WPP 310 Power pack to suite VF SS and SSV models. We are launching our W Series range with an all new performance package for the VF Commodore: The W310. As the name suggests, the W310 package offers VF SS Commodore owners a stonking 310kW of power and 580Nm of torque. 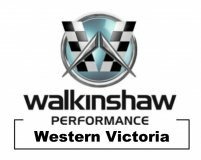 The W310 package offers a new level of performance and drivability for the SS Commodore, all backed by WP’s legendary driveline warranty that gives you complete peace of mind for the life of the standard manufacturer warranty. Unique Walkinshaw Performance Cold Air Intake. Custom ECU recalibration developed on Walkinshaw Performance’s dynamometer. W310 Build Plate and Rear Deck Lid Badging. With a recommended RRP of $6,495 the new W310 package offers phenomenal value for money on the already awesome Holden VF SS Commodore.